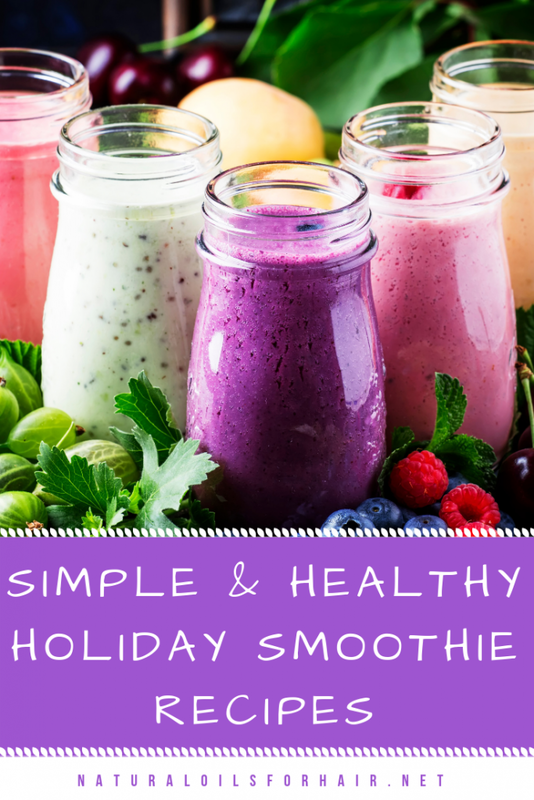 This is a continuation of 11 Healthy Smoothie Recipes for the Holiday Season. The previous article shared loads of fast healthy smoothie recipes containing the usual holiday season ingredients. I’ll be sharing 9 more of these lovely smoothie recipes in this article as well. 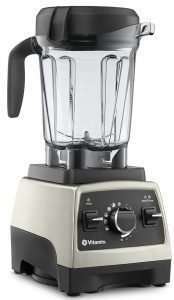 For the best blender for smoothies, read the previous article HERE. For updates on new articles, offers, and giveaways, be sure to join our mailing list HERE if you haven’t already. These smoothies are so easy to make and are filled with a lot of goodies your body will thank you for in the long run. Smoothies make it easy to eat right. If you’re a picky eater like me, you can come up with 40 reasons not to eat pretty much anything if you put your mind to it. 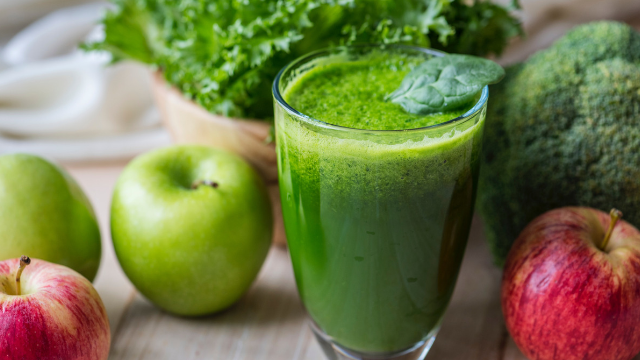 However, with smoothies, I’ve been able to incorporate so many things I would not voluntarily eat such as kale, celery, persimmons, and much more into my diet. The recipes are rounded up from other bloggers. Give one, two or all of them a try this holiday season. This smoothie boasts superfood ingredients such as cacao powder, spirulina powder, and vitamin C powder. It also includes hydrolyzed collagen; a protein-rich ingredient that supports joint health and restores tired muscles. This would make a great post-workout smoothie. 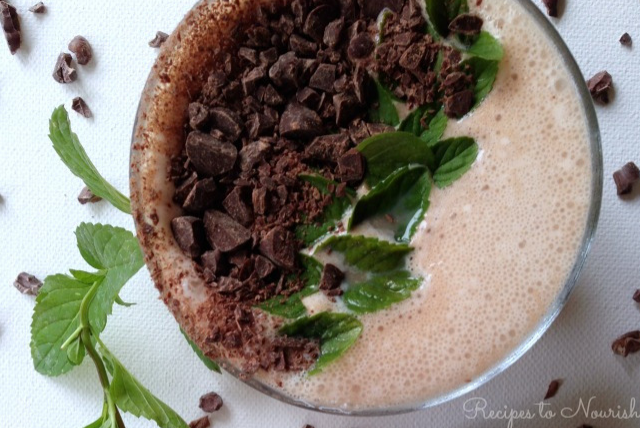 See the full recipe for the chocolate mint smoothie on Delicious Obsessions HERE. 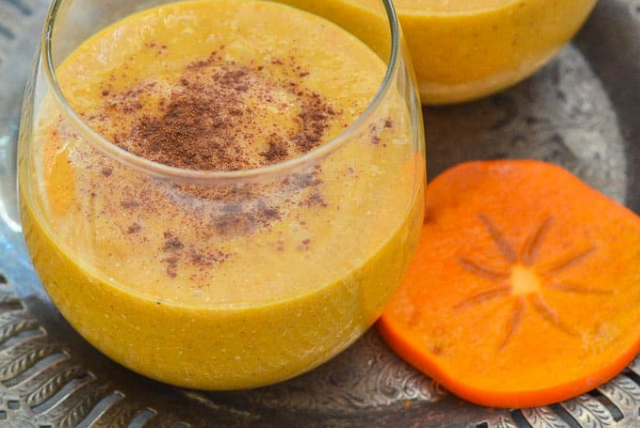 Persimmon doesn’t immediately spring to the mind when it comes to healthy smoothies but persimmons are rich in fiber and are an excellent source of vitamin A & C.
Persimmon tastes similar to apricots and almost look like pumpkins in this vegan recipe. Finished with a hint of cinnamon, it’s sure to taste amazing. 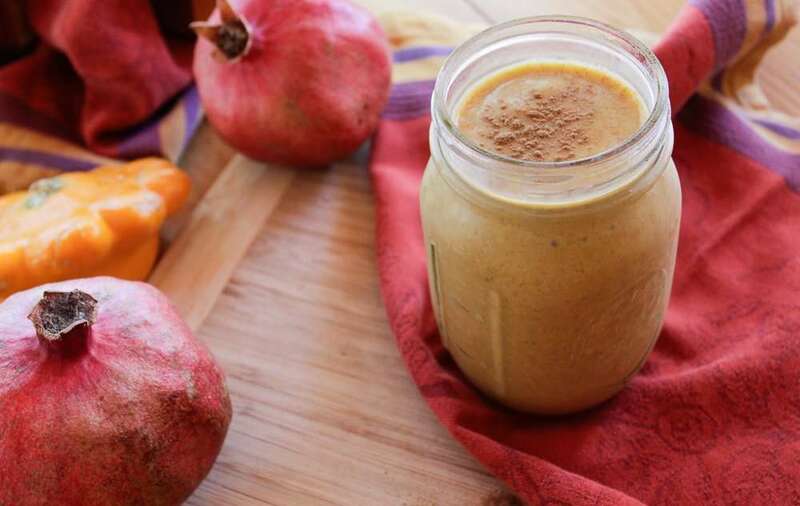 See the recipe for the cinnamon persimmon recipe smoothie on A Virtual Vegan HERE. 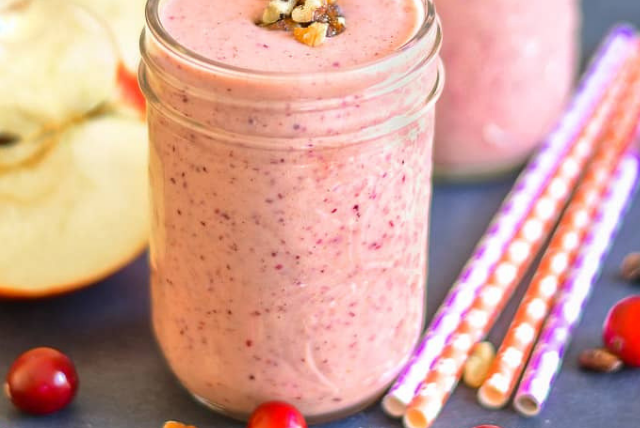 Another great recipe from A Virtual Vegan, this smoothie contains walnuts, cranberries, and apples. Cranberries are full of antioxidants while walnuts contain healthy fats and the essential fatty acid, omega-3. See the full recipe for the walnut cranberry apple smoothie at A Virtual Vegan HERE. This smoothie contains one of my favorite ingredients for health, chia seeds. Chia seeds are full of antioxidants and make you feel fuller for longer. The smoothie also contains hemp hearts; another great ingredient for healthy living. You can use dried ground ginger or fresh ginger in the recipe too. 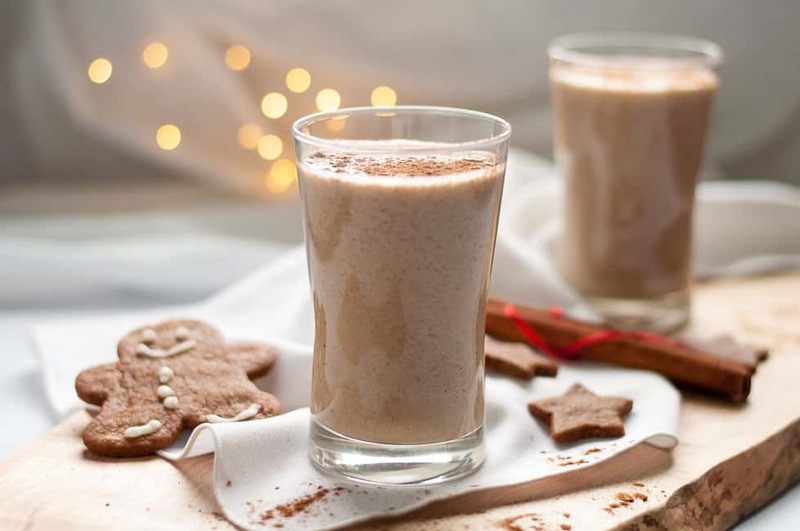 See the full recipe for the chia gingerbread smoothie over at Flavour and Savour HERE. Chia Seeds vs Flax Seeds: Which is Best For Your Diet? 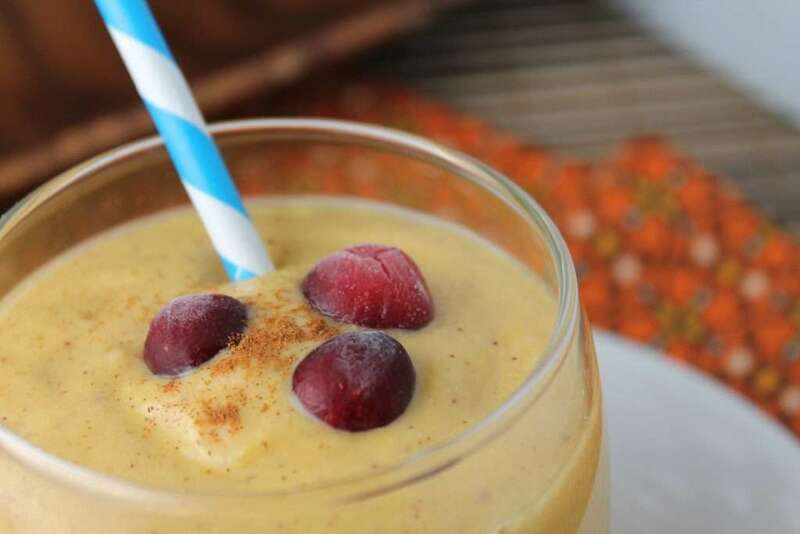 This pumpkin chai protein smoothie features an interesting protein powder – Chai Protein Powder. 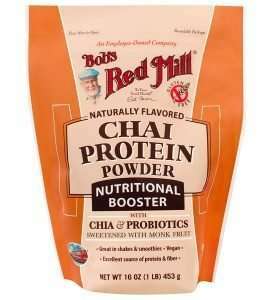 The chai protein powder contains pea protein powder, chicory root fiber, and chia seeds. It’s combined with pumpkin puree and bananas for a rich breakfast smoothie. See the full recipe for the chai protein smoothie on Tasteful Venture HERE. 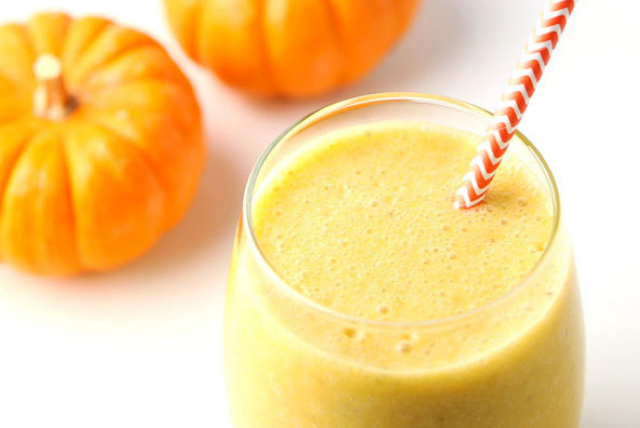 Sugar-free and dairy free, this pumpkin pie smoothie delivers comfort with every sip. Have it after a workout, for breakfast or as a low-calorie treat on cheat day. See the full recipe for the pumpkin pie smoothie on Plant Based Cooking HERE. This creamy pumpkin cranberry smoothie is vegan, paleo and whole 30 friendly. Also contains raw cashews and you can add a tablespoon of protein powder as well. See the full recipe for the creamy pumpkin cranberry smoothie on Tessa the Domestic Diva HERE. Chestnuts are gluten-free and contain very little fat. This smoothie will leave you brimming with the holiday spirit. Combine with almond milk and bananas for a low-calorie breakfast to jumpstart your day. 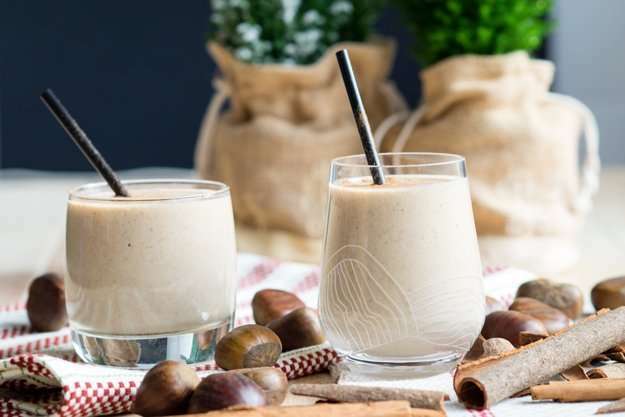 See the full recipe for the chestnut smoothie on The Worktop HERE. 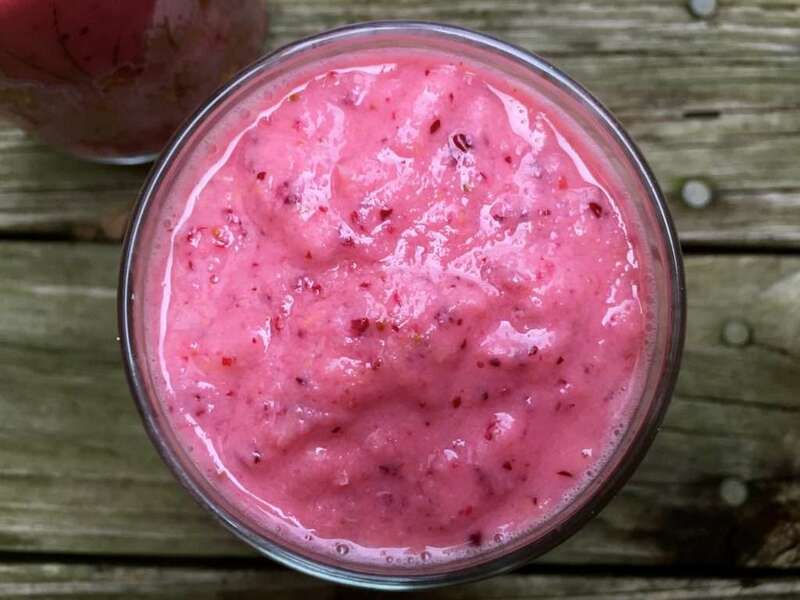 This cranberry pear orange smoothie is nutritious and full of antioxidants and fiber. Using fresh ingredients, you’ll come back to this smoothie more than a few times. See the full recipe for the cranberry pear orange smoothie on A Cedar Spoon HERE. Want even more healthy smoothie recipes? 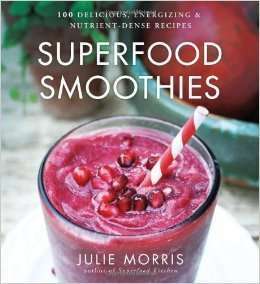 Check out Superfood Smoothies: 100 Delicious, Energizing & Nutrient-dense Recipes. If you have additional smoothie recipe ideas, please share in the comments section :).